Sgt. Lloyd E. Graham, son of Mr. and Mrs. W. E. Graham, attended Walters High School; husband of the former Ann Howell. Entered Air Corps in Sept., 1942, trained in Symrna, Tenn., and Jackson, Miss. 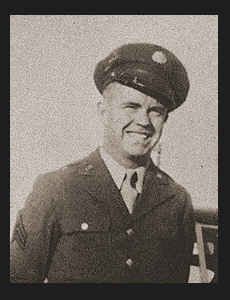 ; went overseas in Dec., 1943, served in N. Africa, Sardinia, Corsica and Italy; was discharged in Nov., 1945. Awarded ETO Ribbon with three Battle Stars, Good Conduct Medal, EAME Ribbon, Victory Ribbon, Croix de Guerre with Palm.